Here at Club Mob, we're the experts at unexpected entertainment. 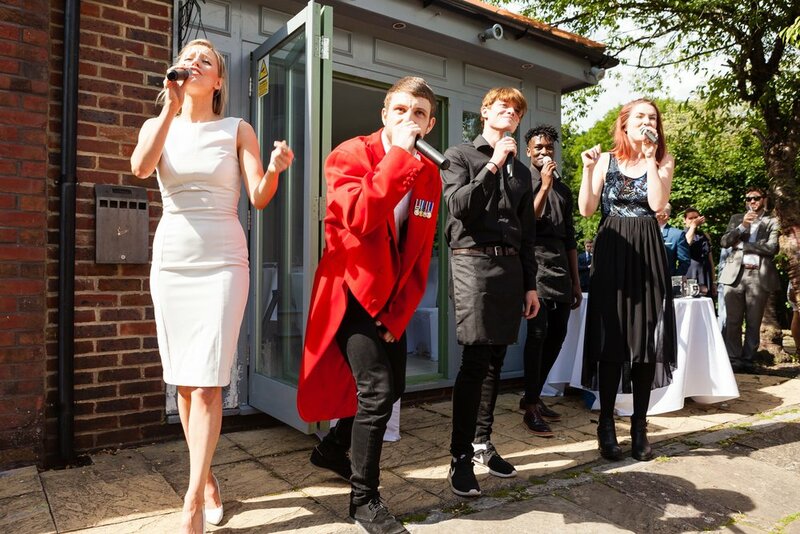 Everything about our surprise flash mob performances are customised to thrill guests at each party, proposal, wedding reception, corporate function or promotional opening. 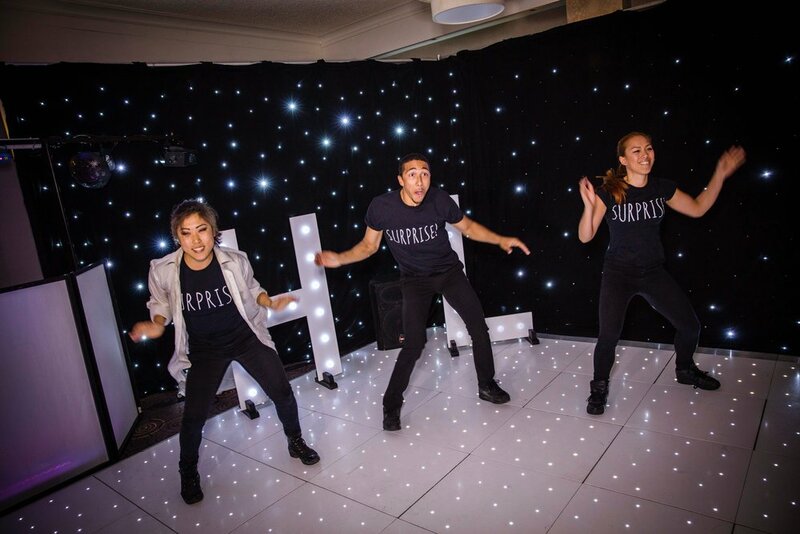 We work closely with you to create truly unique surprises that will take your event to the next level, and to ensure top quality, our surprise dancers are of the highest professional standard with film, TV and West End credits. Our previous clients include The Co-Op, Kew Gardens, Radisson Hotels, Red Bull, University of London, Claridges, Guinness World Records, Ericsson, and countless more private & corporate clients. We can even provide Flash Mob Consultancy if you, your friends or family, or your company want to get involved and have a bucket list experience! Don't let the categories stop you! Our flash mobs can also fit into existing shows, such as when we planted fake singers, hosts and audience members at Sternberg Clarke's prestigious Beat the Brief in 2015 - or when MOTUS dance festival commissioned some surprise dance art from us last summer. Our Flash Mob Consultancy service helps you put on your own flash mob, be it with your family, friends, colleagues or school. We helped Red Bull put together an 80+ flash mob in 2015 to support their charity, Wings For Life!